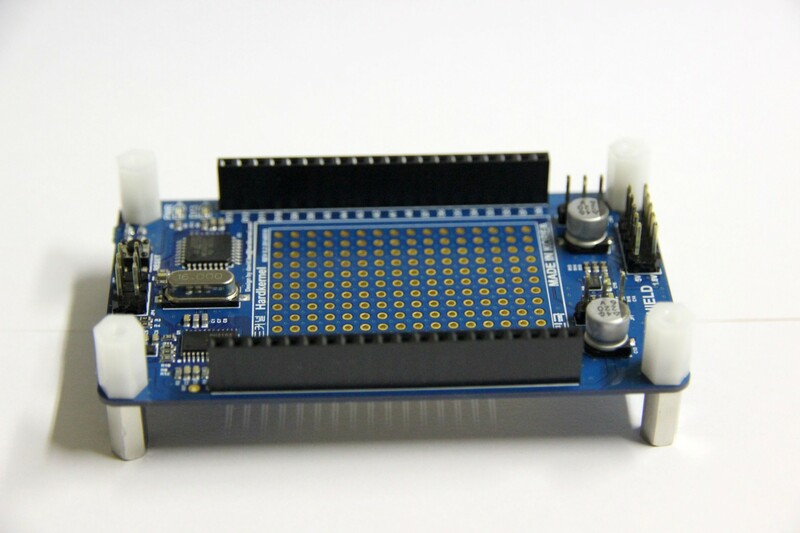 The IO Shield expands the GPIO (General-purpose input/output) to 36 ports. In particular the 6 PWM ports made it interesting for me. 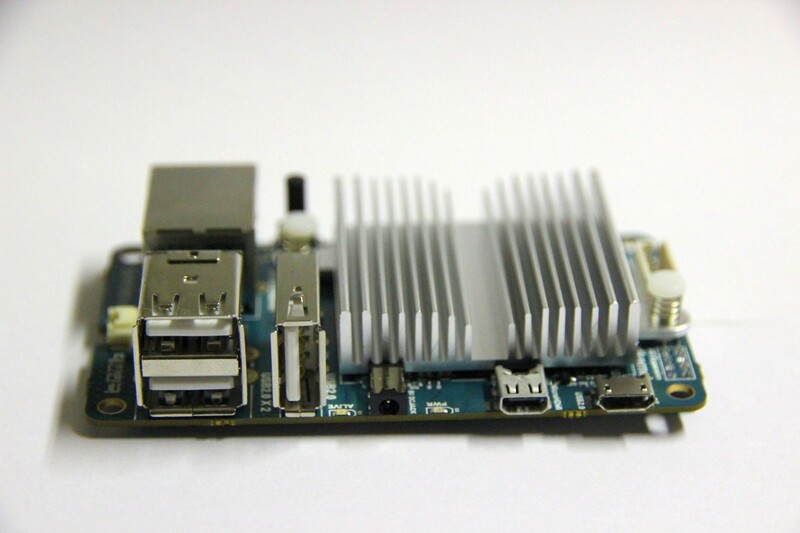 It can easily plugged on the underside of the Odroid U3. 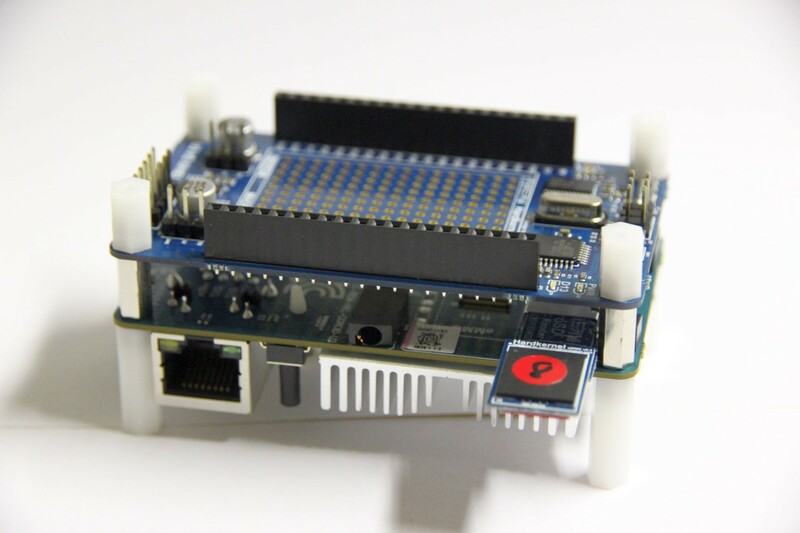 Here’s a picture of the U3 board and the IO shield together. An 8 GB eMMC module with a micro-SD adapter is plugged in. 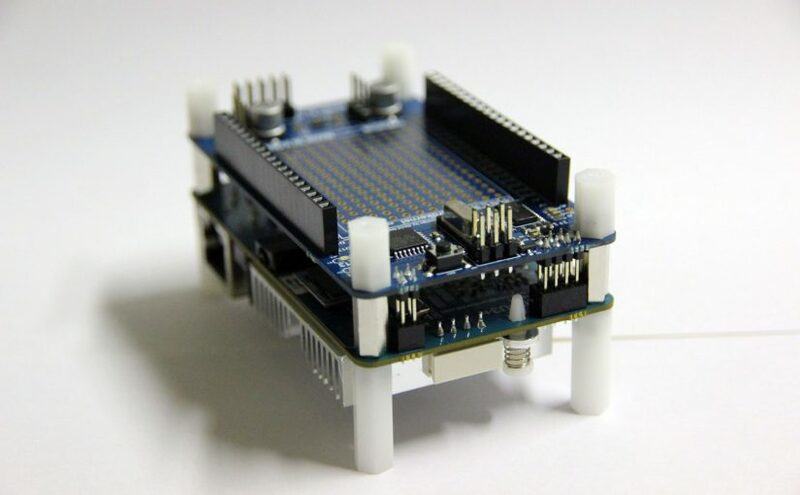 The eMMC module can also be connected directly to the U3 board. 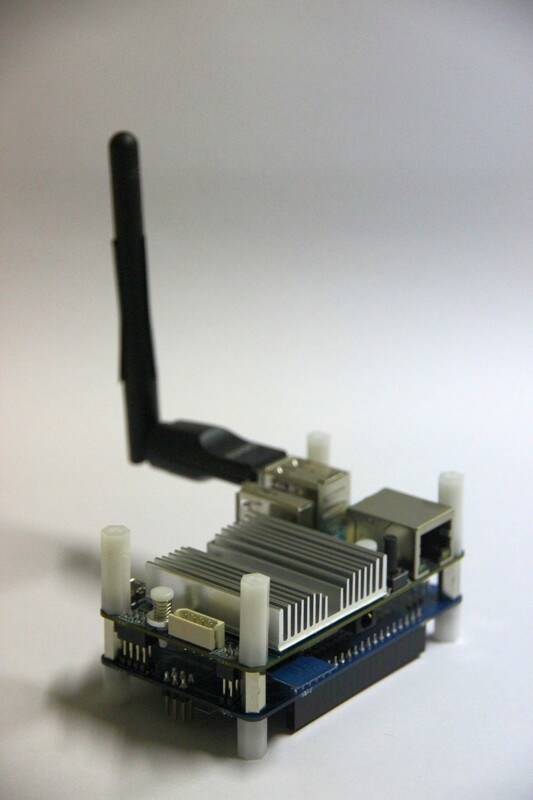 Another picture with a wireless LAN module. Disconnect the eMMC from the adapter and plug it directly into the U3 for best performance. The adapter is for plugging it into other devices without eMMC sockets so you can read/write from/to it.